Our range of Giant Decorative LED Lamps have taken light bulbs to a whole new level. With their chic design Giant Decorative LED lamps when used with a cord set make a big design statement. 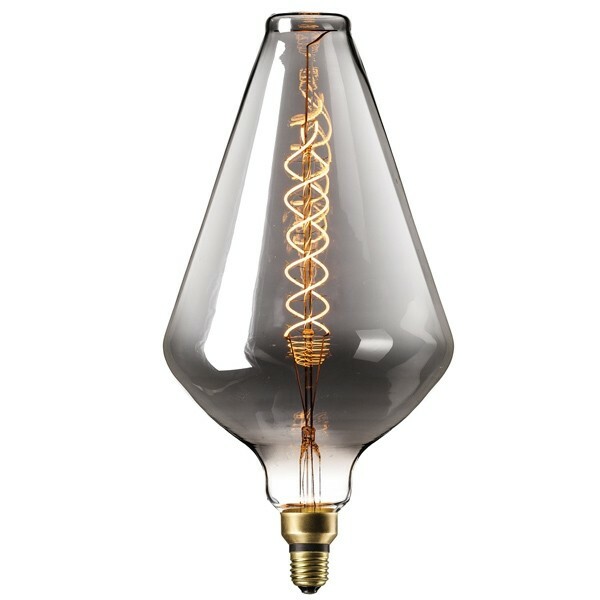 Part of our Giant Decorative LED range, Vase is an inverted pear shaped bulb that has a spiral LED. The curved designer LED and Titanium finish create an appearence that makes lightbulbs fashionable.